Eat, Sleep, Tinker.M Coupe (Z3) Quarter Window Replacement - Eat, Sleep, Tinker. 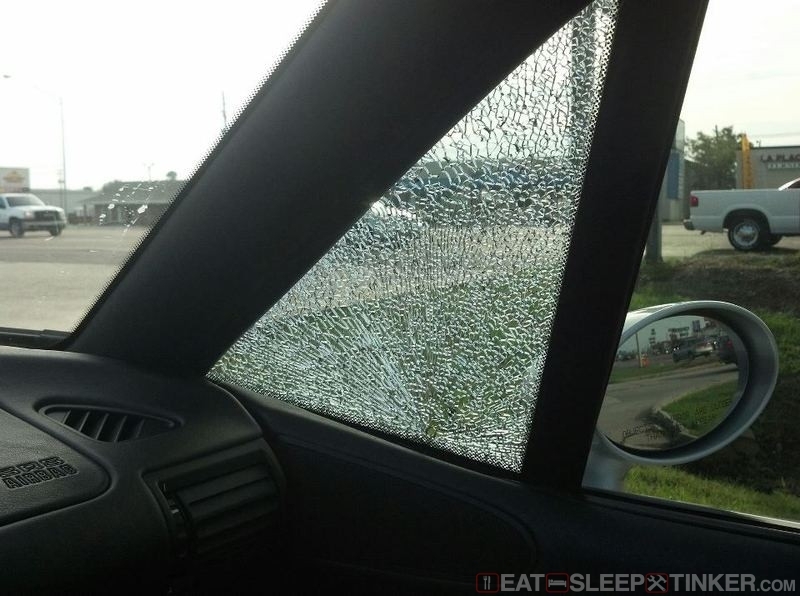 While driving my Coupe from Tampa to Texas, I took a small stone in the passenger side quarter window (aka “sail” window.) 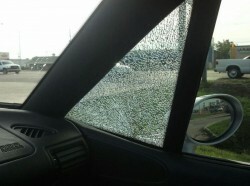 My crime investigation led me to believe the stone ricocheted off the side-view mirror right into the glass. Fortunately the window tint (Llumar) kept the spider-webbed glass in place. I added some clear packing tape at my overnight stop and continued on. New this part runs a couple hundred dollars, fortunately I found one on the forums for $80 from a guy who had stripped his Coupe out for a track rat build. The install wasn’t as bad as I was anticipating it to be, there are several guides out there to help you along. 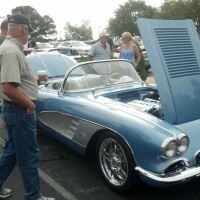 I also tackled several other issues while the doors were apart, I’ll cover that in subsequent posts. 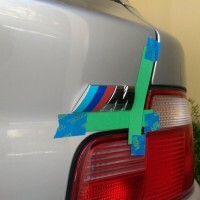 This post by Ron Stygar is the most informative one I’ve found for removing the door cards: http://www.bimmerfest.com/forums/showpost.php?p=3845005&postcount=58 The door cards came off without too much difficulty. 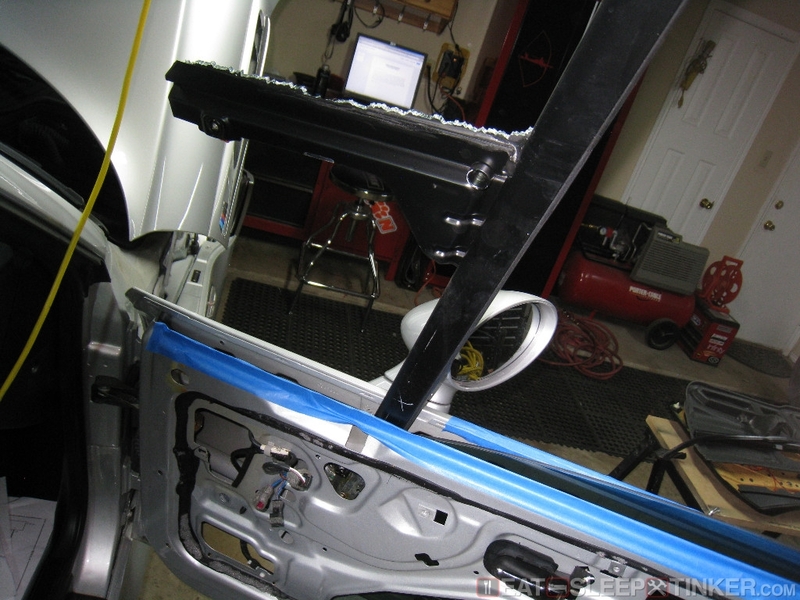 I did pickup the panel removal tool shown in the previous link, which I’d deem a necessity. I’ve used the pry-bar type tools before, and this new wedge style is far and away much easier to use and not damage the fragile door panel. I was able to remove both panels without messing up a single plastic clip or the fiber board the cards are made of. 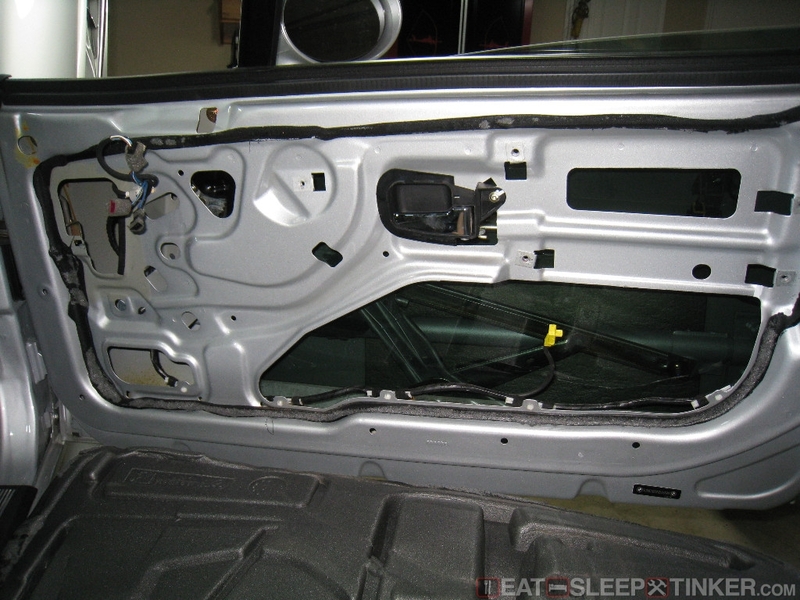 Door card before removal. It’s held on with two torx-head screws. One behind the thumb panel on the grab handle, and one behind the plastic cover with the airbag label on it. After that, there are several white plastic clips around the perimeter. You can see both covers are removed. This is the special tool used to separate the the plastic clips. Works wonders compared to the pry type I’ve normally used. Simply wedge it in there and they pop right out. 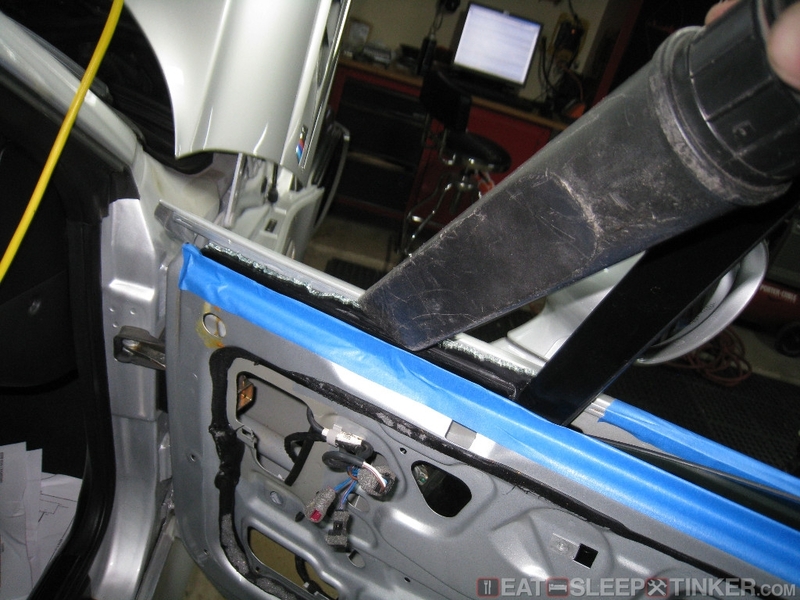 Door car removed, exposing the foam vapor-barrier / damping material. 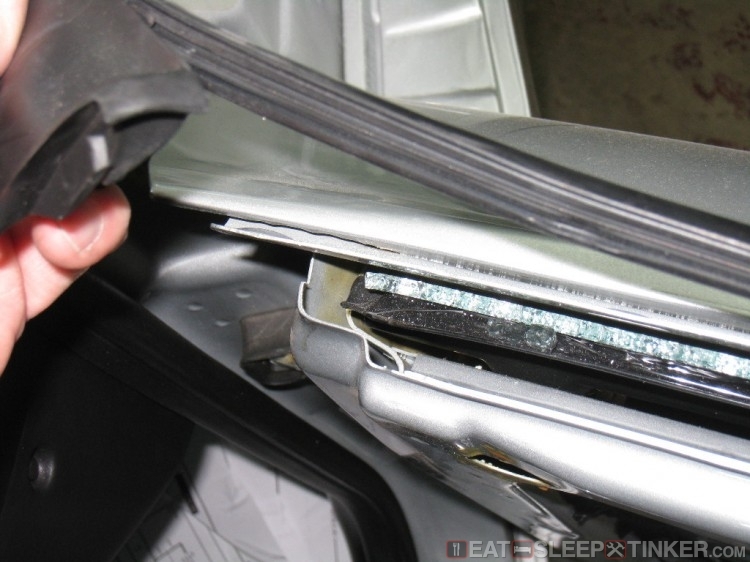 SAFETY NOTE: Always disconnect the battery and allow any stray voltage to discharge prior to working around air bags, especially if you will disconnect/connect them. The airbag connector is secured in place with a metal clip. 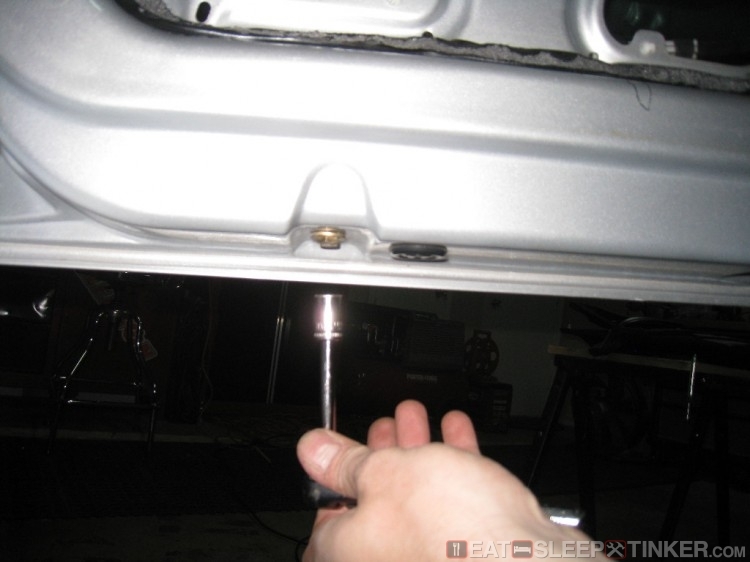 A flat head screwdriver easily moves it out of way. Airbag removed, simply held on with four 10mm head bolts. Place it somewhere safe, away from heat and high voltage. Start carefully pealing back the foam barrier. It’s held into place along the perimeter with butyl tape. Take your time, hopefully it won’t tear. 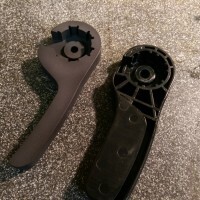 You will likely lose a bit of the foam, a heat gun might help. 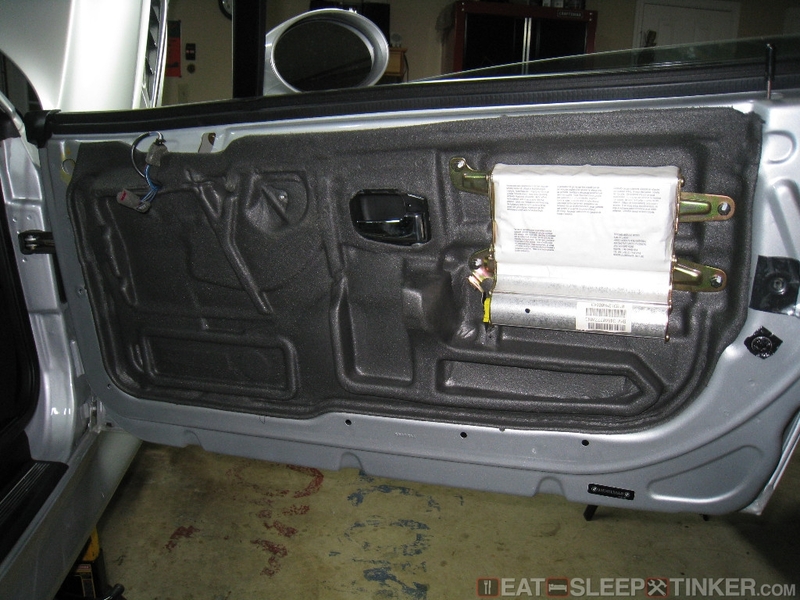 The bare door with the foam barrier removed. 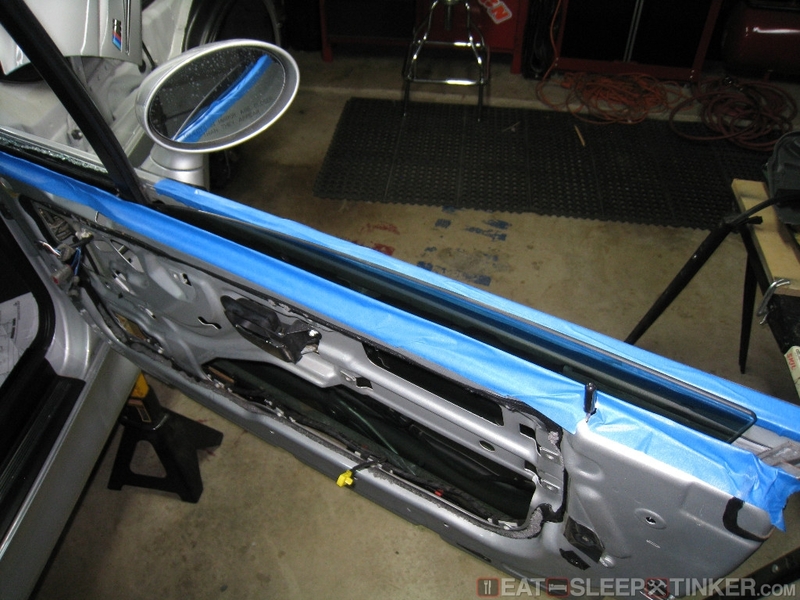 Remove the inner weather stripping by carefully pulling it up. It’s only held on by friction. You can see here how the inner and outer weather stripping “lock” into each other. 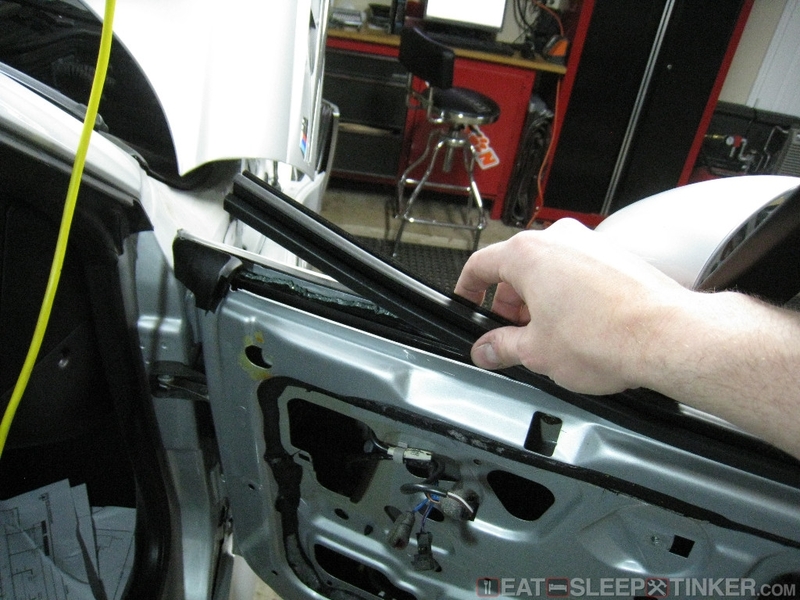 Removing the outer weather stripping. 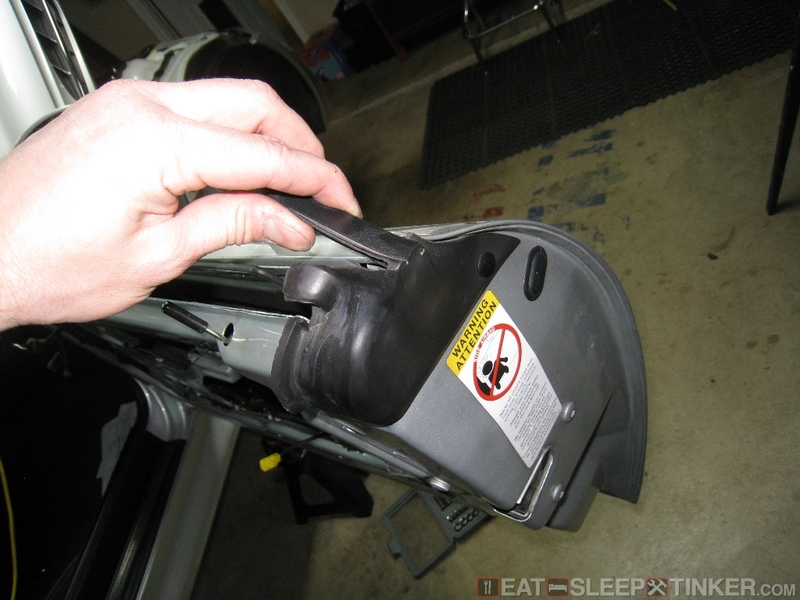 It’s a bit tougher to remove, as the metal panel holding it in place has detents to grab it tightly. At the end of the outer weather stripping you can see how it wraps around. 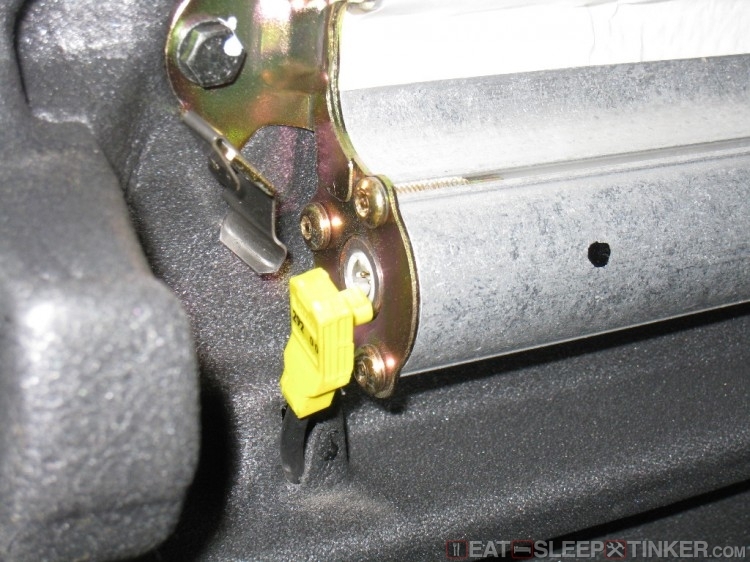 There is one small plastic plug holding it in place, remove it with a pry-style clip remover. 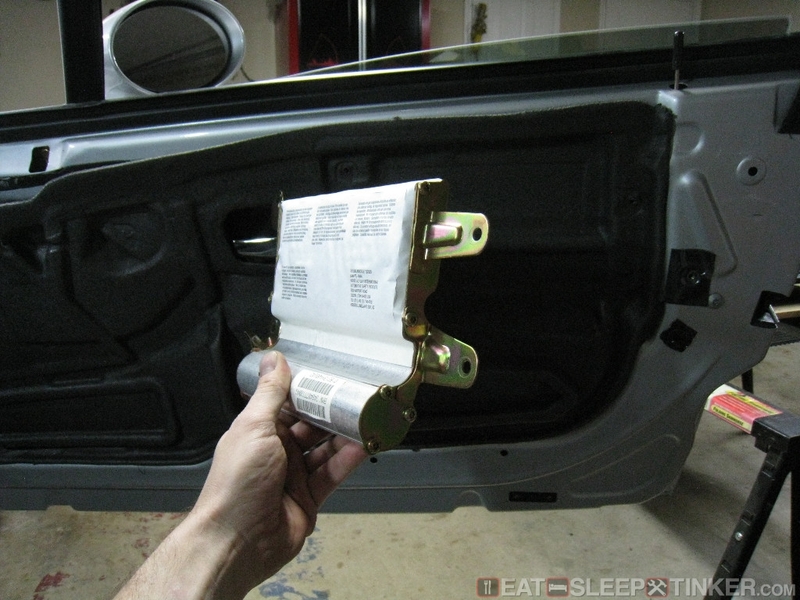 I placed some masking tape along inner edge of the door frame to protect the glass. 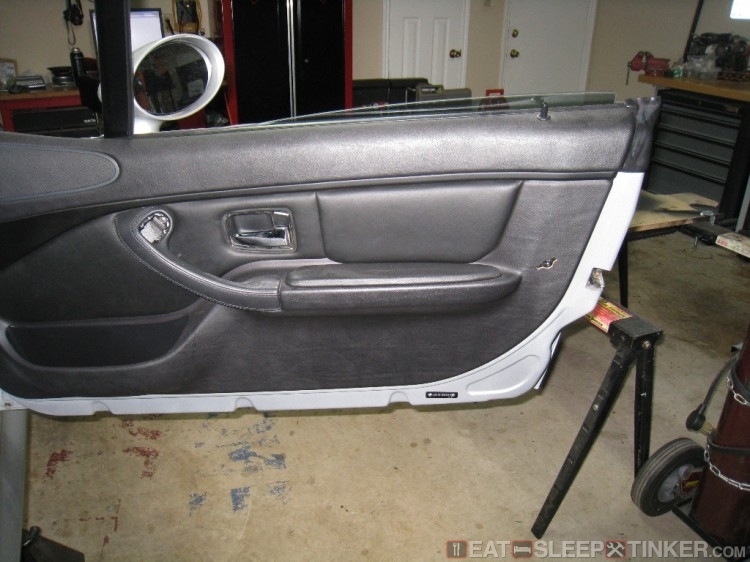 I still managed to put a small scratch in the window tint, caused by the door handle screw that protrudes into the open space inside the door. Vacuuming out the remaining shards of broken glass. I also vacuumed out the bottom of the door. There are three bolts holding in the quarter window. Two at the top, this is the rear one. The final bolt is on the bottom of the door. The bottom mount of the quarter window uses washers to shim its height up and down. Make sure you get all these washers out. I used a reach magnet to fish them out. Once removed I glued the stack together to make installation easier. 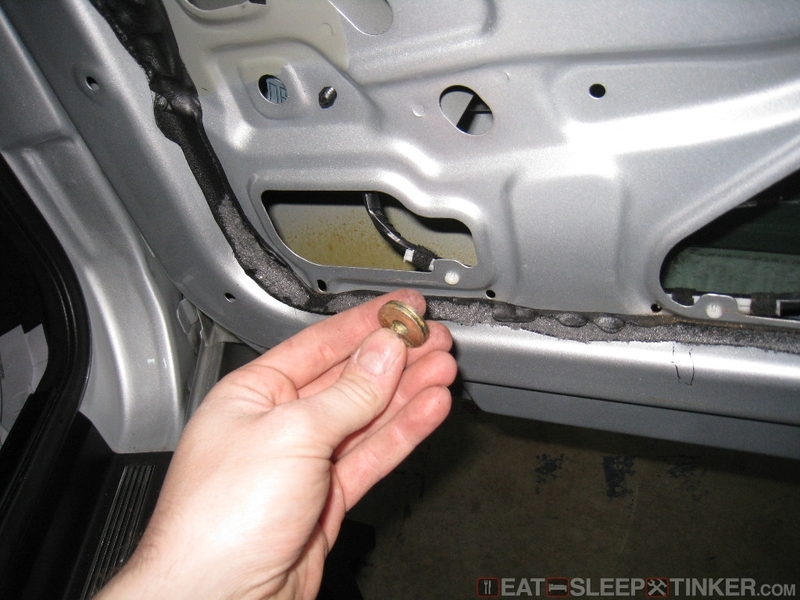 With the three bolts removed, you can fish out the quarter window. It requires a bit of work to feed it out, as there is a wide foot along the bottom of the slide track. 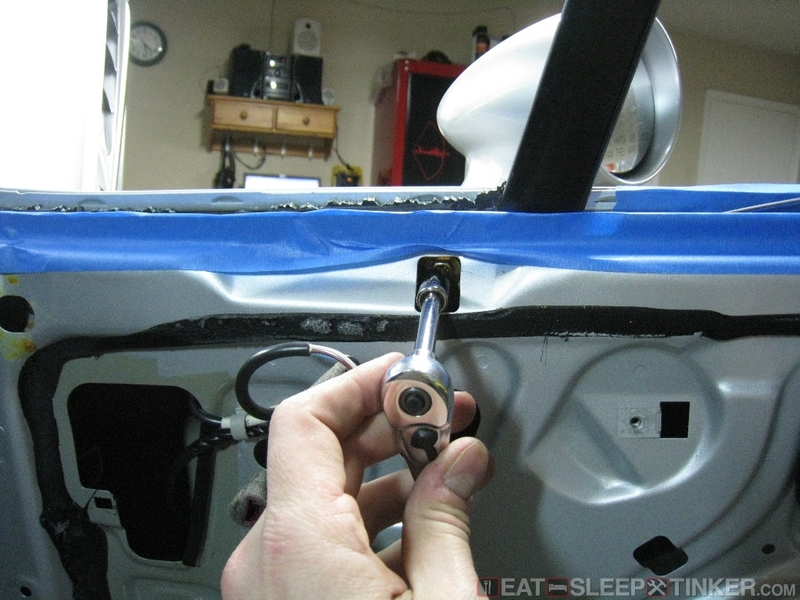 NOTE: There is designed play in the mounting bolts for the quarter window to allow you to adjust it to match the A-pillar’s weather stripping. 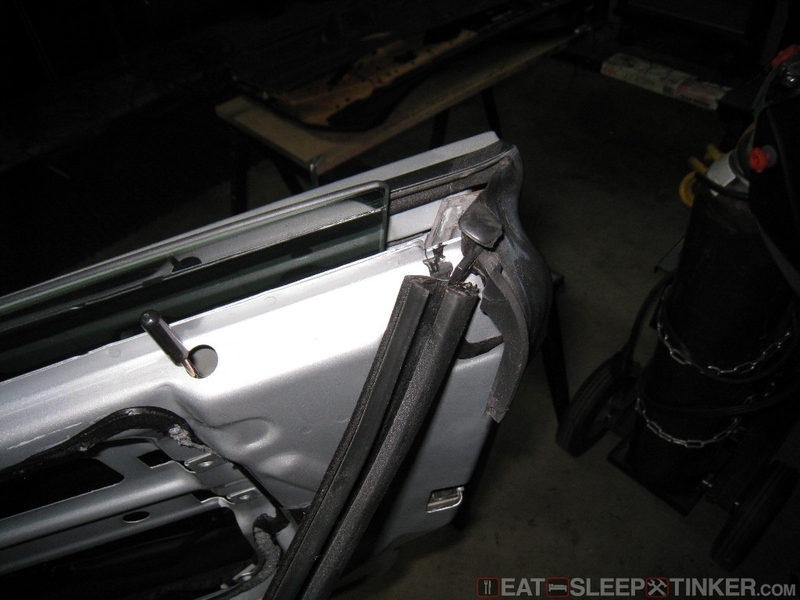 I snugged the bolts just enough to allow me to move the window a bit until I achieved a good seal between the quarter window and the weather stripping. 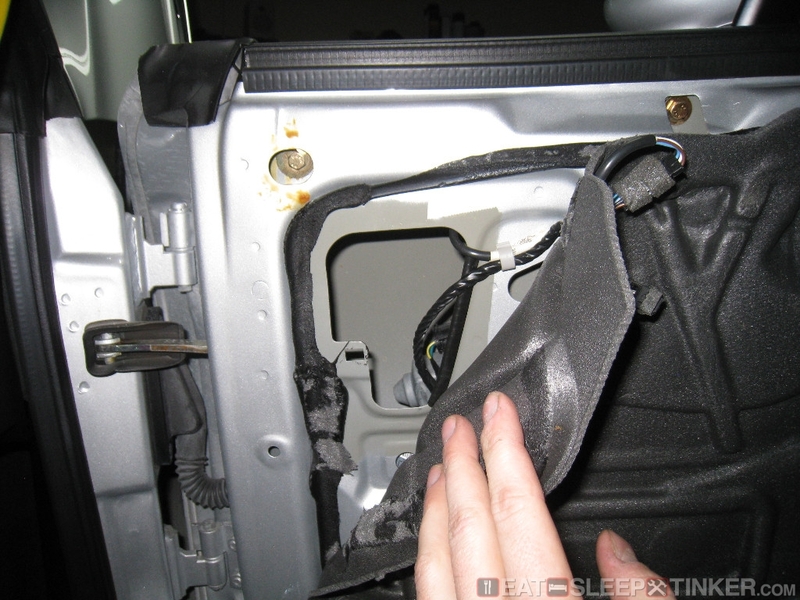 NOTE2: You will probably have to reconnect the battery to actuate the window up and down while the side airbags are removed. 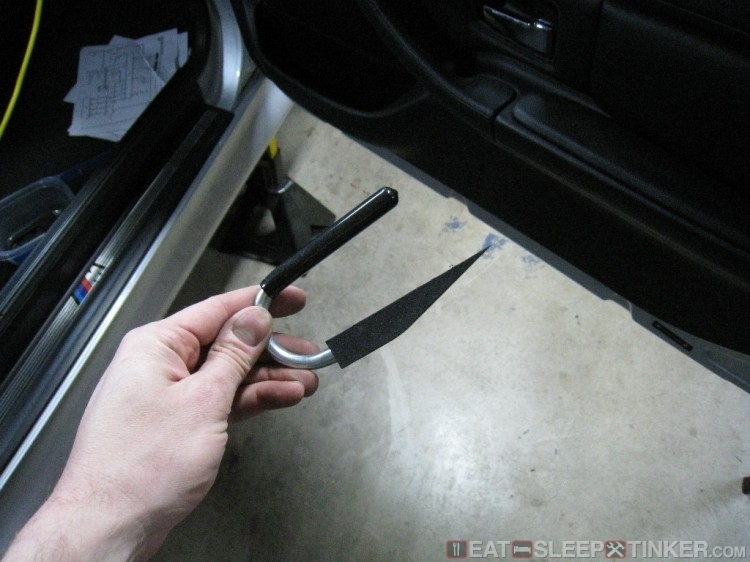 This will leave you with an airbag (SRS) light on the dash. I use an inexpensive BMW SRS reset tool that can be easily found on eBay to reset the system once everything is plugged back up. Make sure you do not have the battery connected anytime you are plugging or unplugging the airbags. Install is pretty much the reverse of what I’ve covered. Use the DIY links posted in the beginning of the post for more details.